2015 was the 70th anniversary of the Korean War that happened in 1950. DMZ (Demilitarized Zone) symbolizes that Korea is the only remaining divided country in the World and at the same time, the best place to see how nature was well kept without human access for decades. 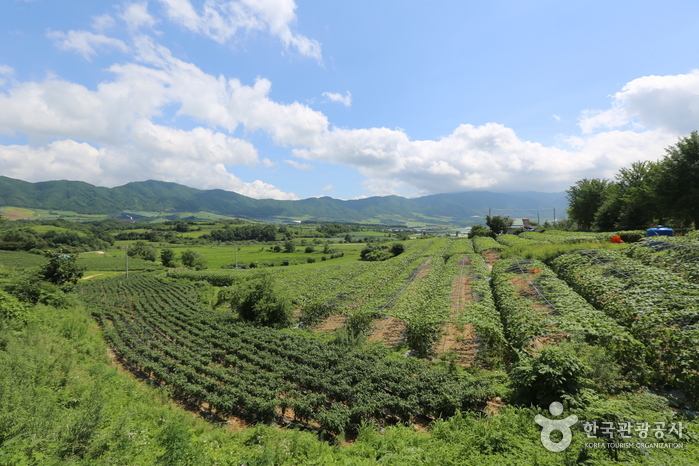 Today, Gangwon blog would like to introduce 4 DMZ destinations as Cherwon county, Hwacheon county, Yanggu county and Goseong county whereby past and future meet. 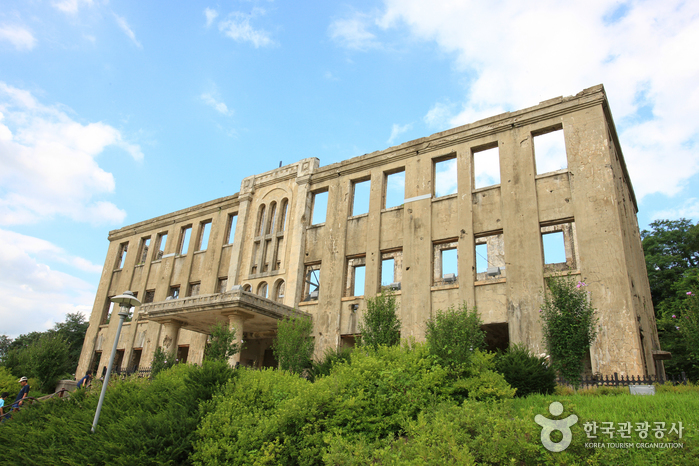 This three-story building located in Cheorwon-eup was constructed in 1946. 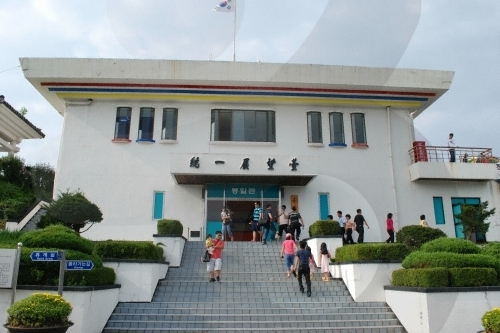 It was used as the headquarters of the Labor Party until the break of the Korean War on June 25, it is now a tourist attraction that still the hold on to the vestiges of the Korean War. Cheorwon Korean Workers’ Party Headquarters is under the control of Cheorwon-gun Office as part of the Security Sightseeing Course. 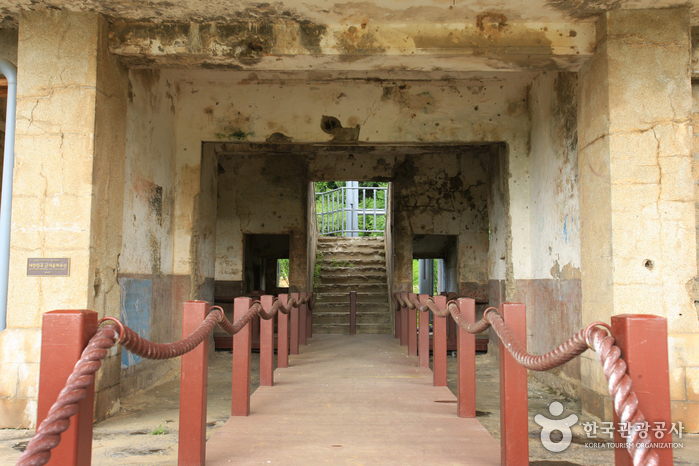 Every year hundreds of thousands of people visit this tourist destination. The 2nd Tunnel, which was made by North Koreans to invade South Korea, was discovered on March 24th, 1975. This tunnel is 3.5km long and sits 50~160 meters below the surface. It can accommodate up to thirty thousand people and is large enough for tanks to pass through. 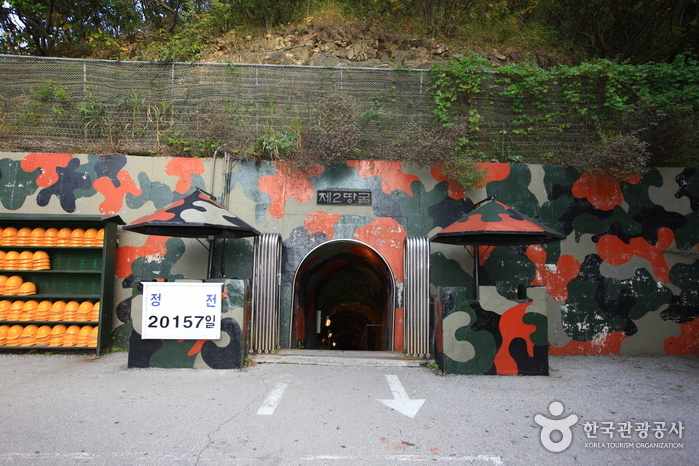 Now the 2nd Tunnel is under the control of the Cheorwon-gun Office. Every year hundreds of thousands of people visit this unique tourist destination. 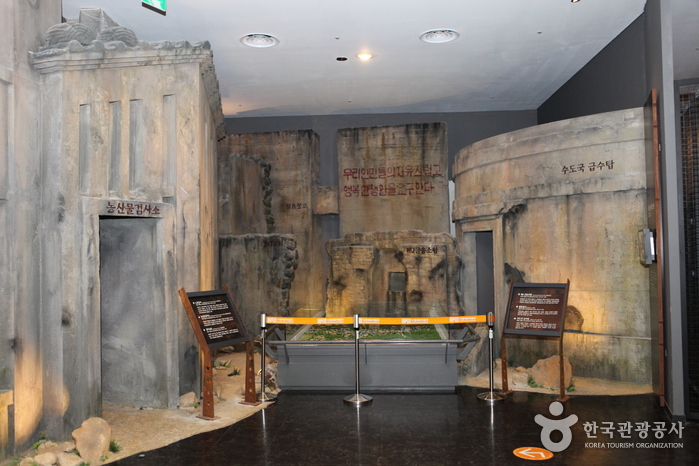 ※ The 2nd Tunnel can be accessed only by purchasing a packaged security tour program (The 2nd Tunnel, Cheorwon Peace Observatory, Woljeongni Station), and visitors are required to apply and register in advance for admittance from Cheorwon Tourist Information Center at Iron Triangle Battlefield Memorial. 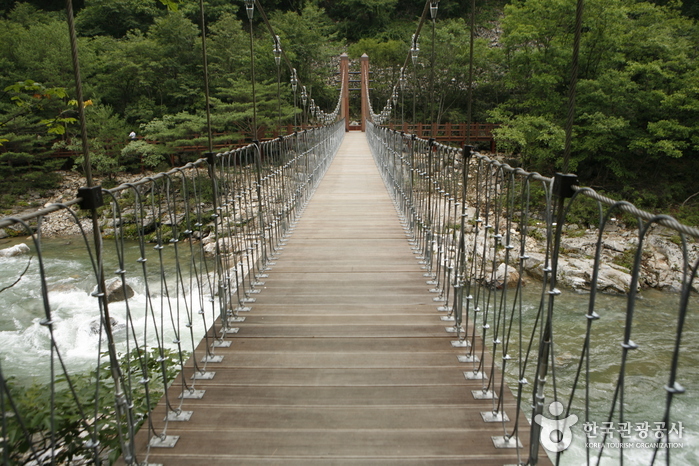 ※ Cheorwon Tourism Office is closed on Tuesdays and public holidays in Korea. Please check in advance to confirm your day of travel is available for touring. ※ The shuttle bus operates only during weekends; visitors can tour the sites by car on other days. ※ Visitors are required to arrive at least 20 minutes prior to departure, in order to fill out the necessary forms for admission and to process registration for the tour. 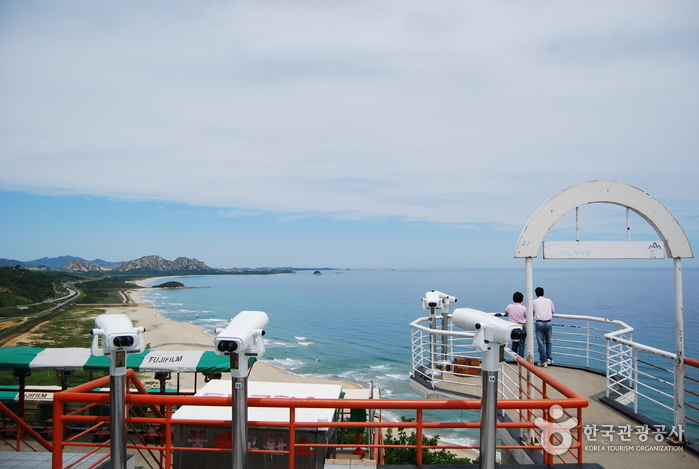 ※ The fees above include admission to The 2nd Tunnel, Cheorwon Peace Observatory, and Woljeongni Station. Shuttle bus fare (8,000 won per person) should be paid separately. 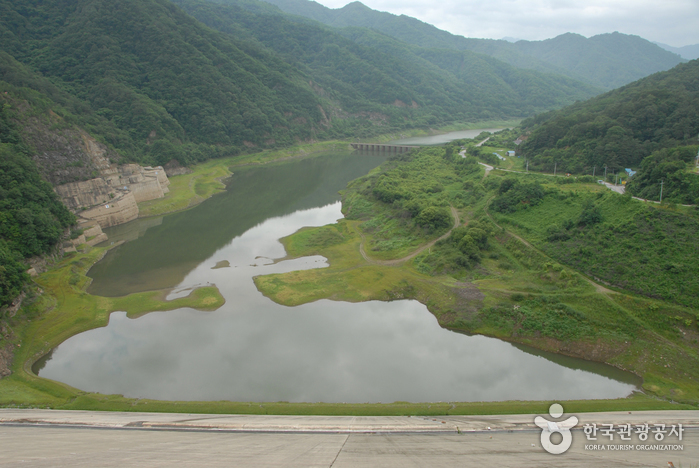 Peace Dam in Hwacheon-gun was built in response to a potential flooding attack from North Korea. The first phase of construction began in 1986, and ended in 1989; the second phase, which entailed raising the height of the dam, began in 2002, and ended in 2005. Over the years, the dam has become a major tourist destination. It has several cultural and recreational facilities including the Water Culture Center, an artificial wall stream, and rest areas. 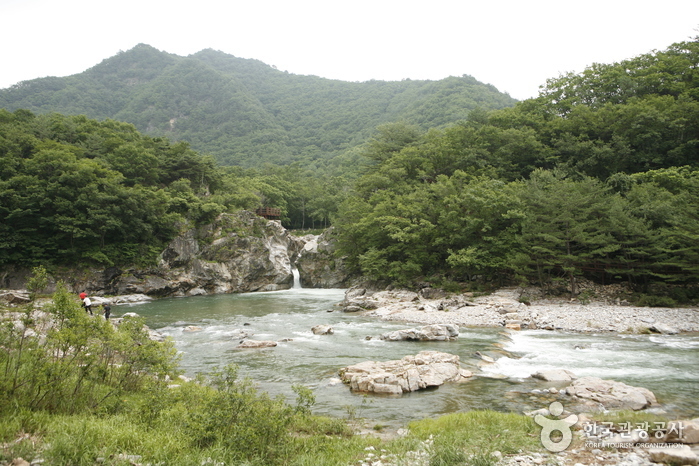 It is also located close to the DMZ, and natural landmarks such as Bimok Park, Bisugumi Valley, and Suhari Fishing Site. 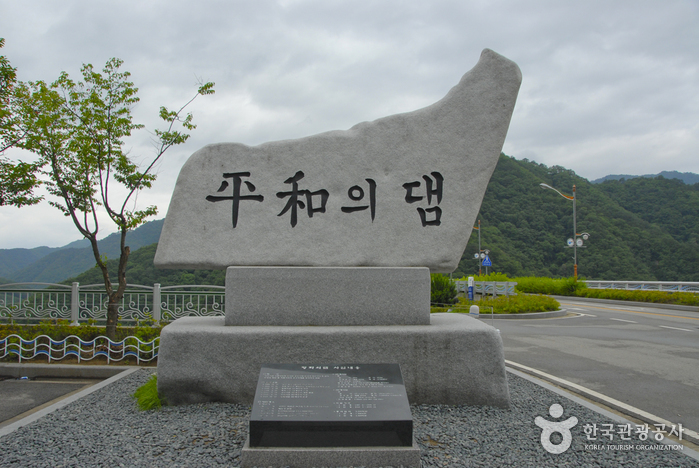 Hwacheon City Tour Bus includes the course of World Peace bell/ Peace dam and DMZ /Ggeomeok Bridge. You may reach out to +82-33-440-2575 for further inquiry or booking request. 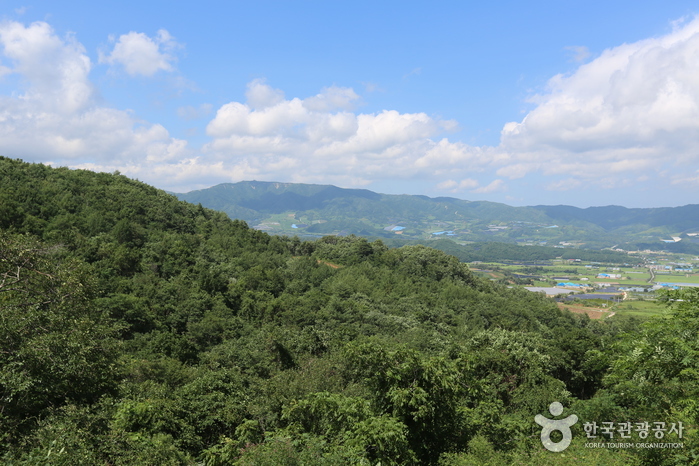 Punch bowl in Yanggu takes its name from its shape since Korean war. There was a fierce battel on this basin and there is a monument for Punch Bowl Battle to honour thouse who died at this battle. Dutayeon Falls (두타연) is located on a branch of the Suip Stream (수입천) that flows through Geonsol-ri (건솔리), Bangsan-myeon (방산면), which is north of the Civilian Control Line. The amount of water that flows into the pond is limited, but the surrounding forest provides superb and almost primeval scenery, while the pollution-free waters offer a habitat for Korea’s largest lenok population. Lenok are a species of freshwater fish under the official monitoring and control of the Korean government. A 20-meter screen of flat rocks surrounds the pond and the east wall features a 10-meter square cave, the floor of which is imprinted with the shape of a comb and horse harness. 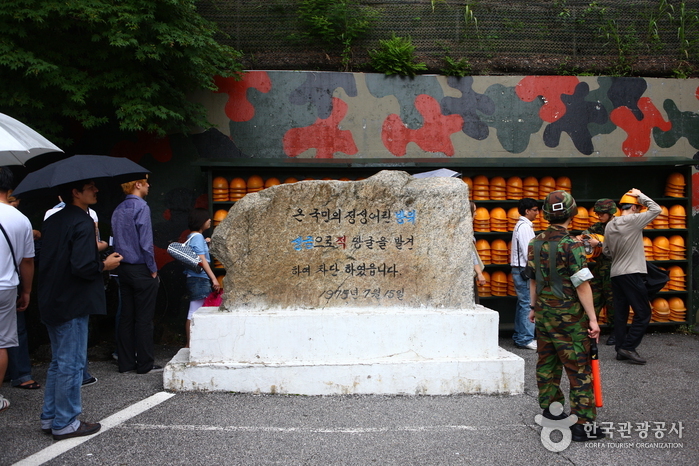 Please visit FNF Korea blog to find details on Yanggu DMZ tour and contact at info@fnfkorea.com or +82-2-332-5393. Although the DMZ Museum was established in memory of a painful past, the museum today embraces everything about the latest efforts made to transform the DMZ from a place of political scars to a symbol of peace and ecology. 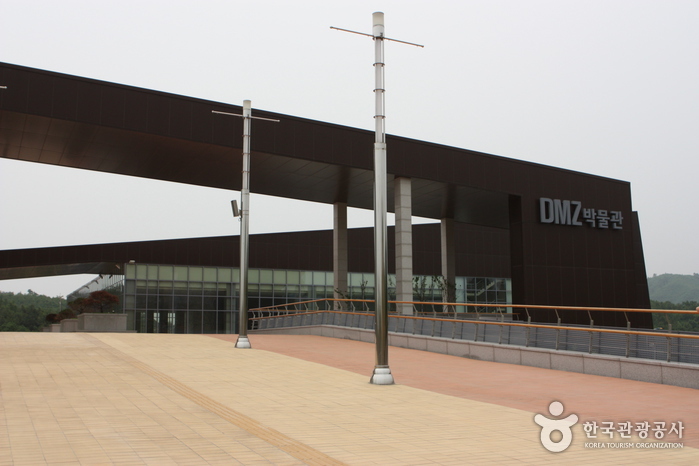 The museum features exhibition halls arranged under a number of different themes that underscore the historical significance of the DMZ and its value as a treasure trove of ecology for the future.